Approximately one in nine Canadian women will develop breast cancer at some stage of their life. Patients with advanced breast cancer respond poorly to conventional treatments. It has been well established that many primary tumors (including mammary tumors) have little or no gap junctional intercellular communication (GJIC). Up-regulation of gap junctions in a number of tumor cell lines results in growth suppression both in vitro and in vivo, suggesting that at least some connexins are tumor suppressors. In our research we focus on Cx43 and Cx26 as they are the only two connexins expressed in human breast epithelium. It has been our hypothesis for some time that down-regulation of GJIC plays a role in breast cancer development, progression and metastasis. In more recent years our understanding of the role of connexins in cancer has become more comprehensive and it is clear that in some tumor types and tissue contexts, the presence of connexins can provide advanced tumors with a survival advantage. The complexity of connexins in cancer is summarized in detail in our 2010 and 2016 Nature Reviews Cancer papers. In related work we performed seminal studies to determine the role of Panx1 in both breast cancer and melanomas. For example, we found that Panx1 is expressed at low levels in skin melanocytes and is highly upregulated in malignant mouse melanomas. Upon Panx1-knockdown, melanoma cells resemble normal melanocytes in cell morphology and melanin production, exhibiting reduced migration and growth. In vivo, Panx1-depleted cells formed smaller melanoma tumors in chick chorioallantoic membranes and had significantly reduced metastasis to the liver of the avian embryos. We postulated that Panx1 is significantly up-regulated as melanocytes transform into melanomas and, moreover, a targeted knockdown of Panx1 may reduce the tumorigenic properties of melanomas. K.C. Alaga, M. Crawford, L. Dagnino and D.W. Laird (2017) "Aberrant Cx43 Expression and Mislocalization in Metastatic Human Melanomas" Journal of Cancer 8:1123-1128. T. Assen, M. Mesnil, C.C. Naus, P.D. Lampe and D.W. Laird (2016) "Gap junctions and cancer: communicating for 50 years" Nature Reviews Cancer 16:775-788. M.J. Ableser, S. Penuela, Q. Shao, J. Lee and D.W. Laird (2014) “Connexin43 reduces melanoma growth within a keratinocyte microenvironment and during tumorigenesis in vivo” Journal of Biological Chemistry 289: 1592-1603. Stewart, X.-Q, Gong, K.J. Barr, D. Bai, G.I. Fishman and D.W. Laird (2013) “Mammary gland defects as revealed by genetically-modified mice harboring an oculodentodigital dysplasia-linked Cx43 mutant” Biochemical Journal 449: 401-413. I. Plante, M.K.G. Stewart and D.W. Laird (2011) “Evaluation of mammary gland development and function in mouse models” Journal of Visualized Experiments 53: pii:2828. I. Plante, M.K.G. Stewart, K. Barr, A.L. Allan and D.W. Laird (2011) “Cx43 suppresses mammary tumor metastasis to the lung in a Cx43 mutant mouse model of human disease” Oncogene 30:1681-1692. C.C. 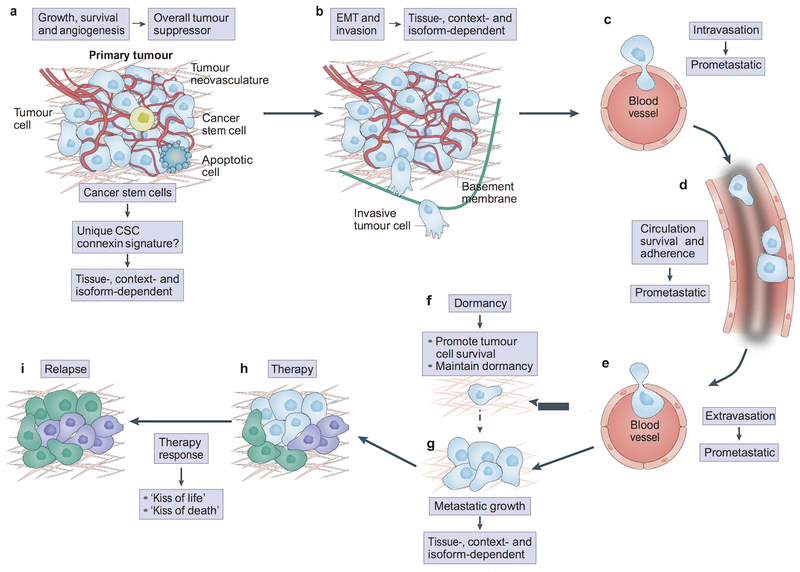 Naus and D.W. Laird (2010) “Implications and challenges of connexin connections in cancer” Nature Reviews Cancer 10: 435-441. S. Langlois, K.N. Cowan, Q. Shao, B.J. Cowan and D.W. Laird (2010) “The tumor suppressive function of connexin43 in keratinocytes is mediated in part via interaction with caveolin-1” Cancer Research 70: 4222-4232. I. Plante, A. Wallis, Q. Shao and D.W.Laird (2010) “Milk secretion and ejection are impaired in the mammary gland of mice harboring a Cx43 mutant but molecular constituents of tight and adherens junctions remain intact” Biology of Reproduction 82: 837-847.